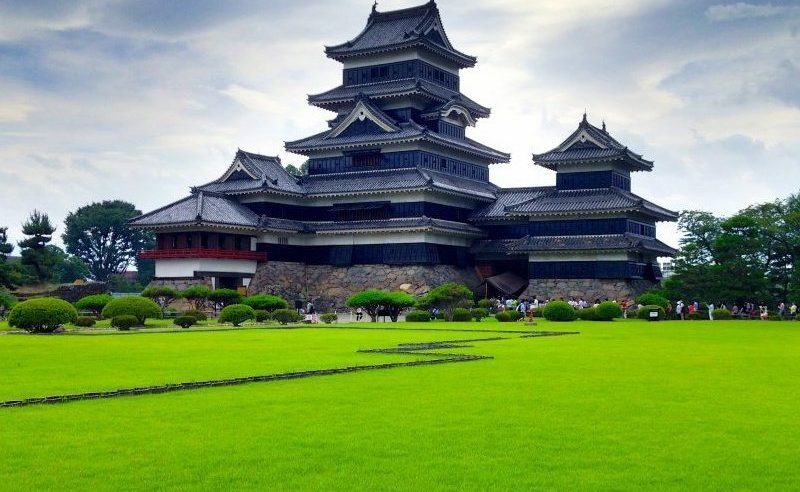 Visiting Japan during cherry blossom (sakura) season is often on the top of travelers' lists. 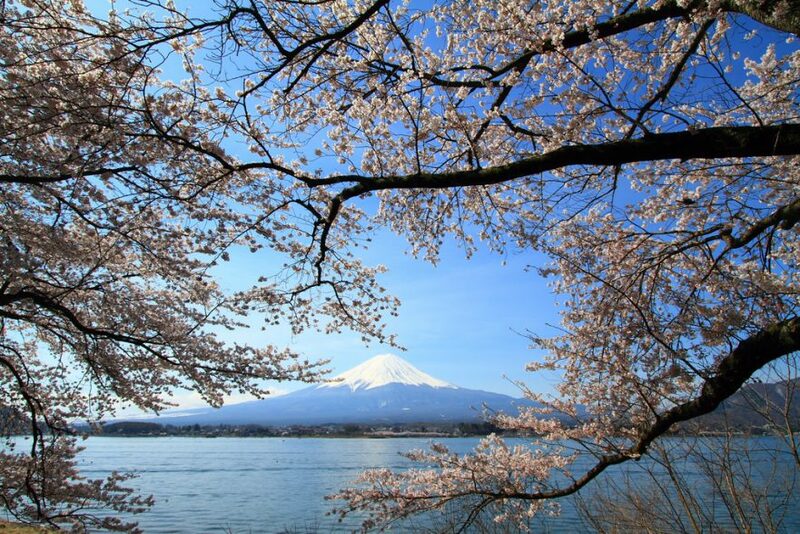 Earlier this month in January, the Japan Meteorological Corporation released their most recent cherry blossom forecast for Japan, and the sakura bloom dates seem to be slightly earlier this year than the previous years. When sightings of cherry blossoms first appear, this normally signals the beginning of the spring season for the Japanese. 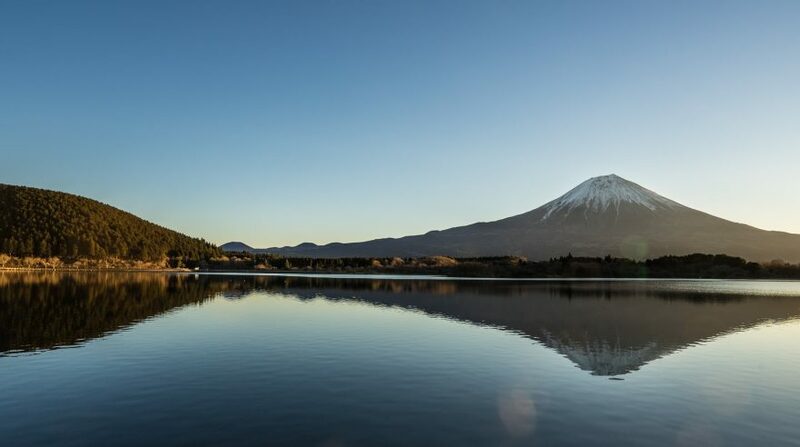 The sakura season is one of the most significant in the country, as many people will plan ahead to try to gather with friends and family to view cherry blossoms for 'hanami' (flower viewing) when they have fully bloomed. Sakura season is one of the most difficult to plan for as sakura are only in bloom for about one to two weeks, so many people will try to find out both the ‘kaika’ (blooming) and ‘mankai’ (full bloom) sakura predictions as early as possible in order to make the most out of the beautiful sakura season. How are sakura bloom dates predicted in 2019? 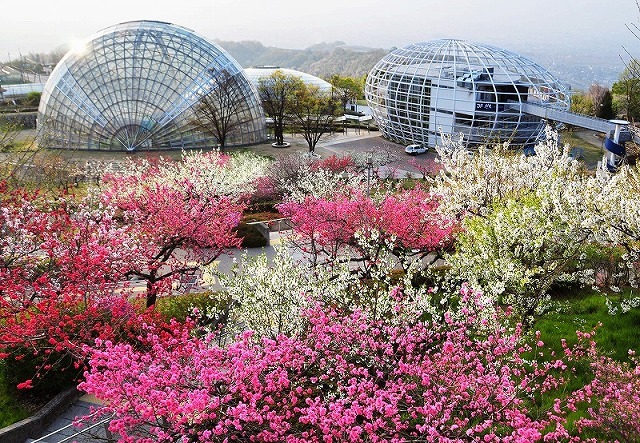 The Japan Meteorological Corporation (JMC)’s cherry blossom forecast is based on many factors, such as the low temperatures during autumn and winter, cumulative temperatures, past area data, and cherry tree growth status. 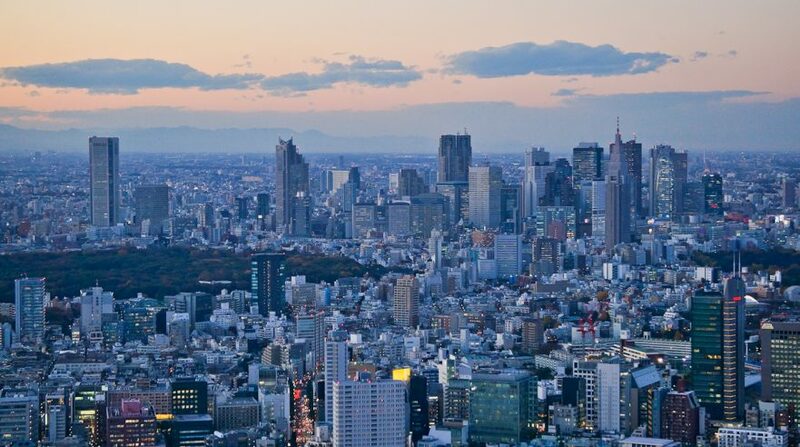 Tokyo sakura blossom dates are usually most searched and for 2019, the sakura are expected to bloom starting on March 22nd and will peak on March 29th. 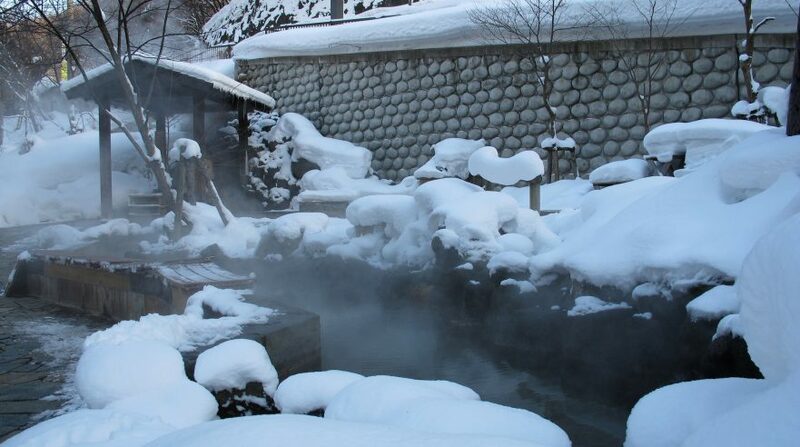 For visitors coming to Japan later in April, they can still see sakura, especially in the cooler areas of Northern Japan, in which sakura typically bloom later than the rest of Japan. The very last cherry blossoms are expected to bloom in Sapporo, Hokkdaido on May 8th. 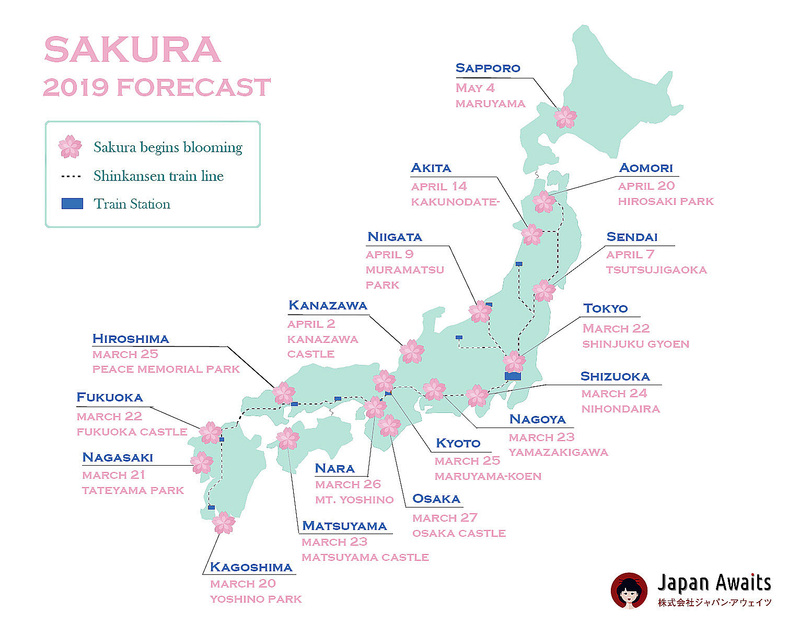 For more information on sakura forecasts in 2019 based on city or region, see the sakura forecast map and find more details below.